The world is made of seductions. In Quincy Troupe's Seduction, the "I" becomes the "Eye," serving as metaphor and witness in a narrative compilation from a master of poetic music. Elegies and dramatic odes look at the seduction of all things loved or hated, especially the man made of color. How did the killings of Michael Brown, Tamir Rice, and Trayvon Martin seduce the public's eye and catch the fire of racism? How did Aretha Franklin seduce us with voice and twang? How does the art of Romare Bearden or Jack Whitten still tell our truths, fantasies, and oppressions? dodging bullets in speeding cars, / knew death, hoped it'd never come . . . In this collection we are seduced by Troupe's opus. This is the poet's art laid bare. He is our "Eye." Visions of the transatlantic slave trade, portraits of American violence, pop culture, and historical voices are the lyrical relics in Troupe's masterful verse. One of American literature's most important rhythmical artists, Troupe has created a chronicle reaching through history for the collective "I/Eye" that is all of us. 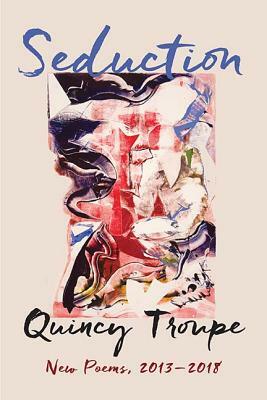 QUINCY TROUPE is the author of nine volumes of poetry, three children's books, and the author, coauthor, or editor of six nonfiction works. He collaborated with Miles Davis on his autobiography and with Chris Gardner on The Pursuit of Happyness, which spent more than forty weeks on the New York Times best-seller list and was made into a major motion picture starring Will Smith. Troupe has also written a screenplay for Miles and Me, the memoir of his friendship with Miles Davis. Poetry collections include Transcircularities: New and Selected Poems, winner of the 2003 Milt Kessler Poetry Award and selected by Publishers Weekly as one of the ten best books of poetry in 2002; The Architecture of Language, winner of the 2007 Paterson Award for Sustained Literary Achievement; and Errançities, published 2012.